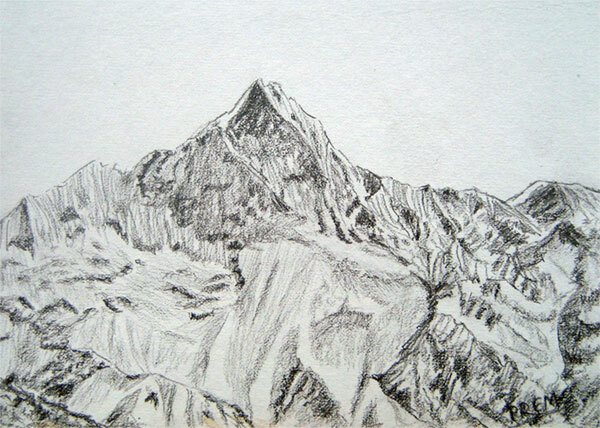 I have made two sketches of the mountains which we, especially the people of Nepal, pride upon: Mt. Everest and Mt. Machhapuchhre. Both of these mountains lie in the Himalayas, that is, northern part of Nepal. However, the Himalayas stretches beyond the territory of Nepal. India and China both have some share of the mountain peaks in the Himalayas, but the heart of it falls in Nepal. This first sketch is of course, Mt. Everest, the top of the world. It's the highest peak of the world with the height of 8850 metres and many people climb this mountain every year. Apart from that, it's image is included in our currency and our national symbols. Therefore, Mount Everest (also known as Sagarmatha) is rightly the pride of our country. This second sketch is of Mt. Machhapuchhre. Mt Machhapuchhre is one of the most beautiful mountains in the Annapurna Mountain Range. It is known as Fish Tail in English, as it literally resembles the tail of a fist. The word Machhapuchhre is a Nepali word which translates into Fish Tail in English. I completed both of these sketches within 30 minutes each! So, it seems like I have finally understood the real meaning of sketch (a quick rough drawing work). 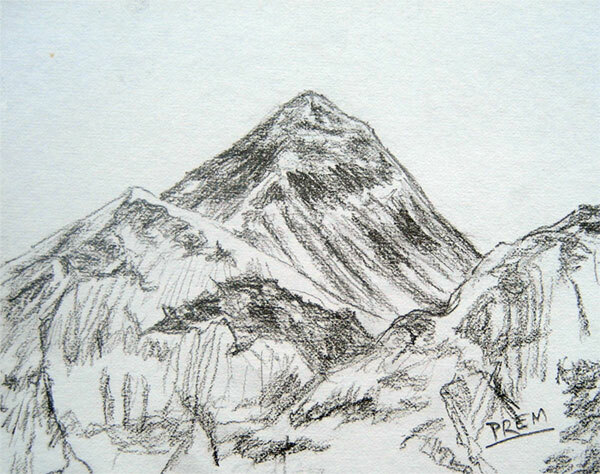 And if you would like to see the sketches of more and more mountains then click this link. 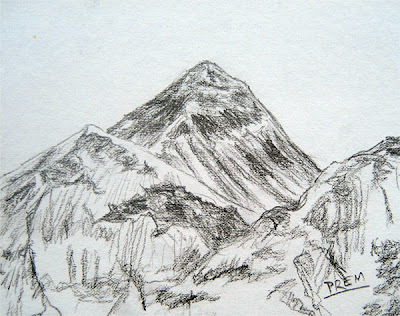 I have published a lot of my sketches of mountains there for you to practice drawing them.